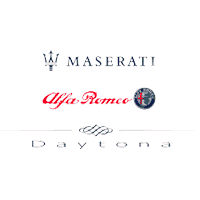 If you’re in need of a quick Maserati oil change in Daytona Beach, FL, or you need Alfa Romeo collision repairs after a recent accident, look no further than the Maserati and Alfa Romeo service department at Maserati Alfa Romeo of Daytona. Our Maserati dealership in Daytona Beach, FL, has a service department that’s unmatched in terms of quality, attention to detail and genuine care for your luxury vehicle. Stop by for routine, factory-recommended maintenance or visit us for Maserati upgrades and Alfa Romeo body repairs. It’s always important to maintain the life and durability of your Alfa Romeo or Maserati vehicle, so be sure to visit us when the time is right. We’ll take great care of not only your vehicle, but you as well! We have a generous waiting area, air-conditioned service bays and more perks that will make your visit to our service department as comfortable and convenient as can be! The tires on your luxury car do far more than keep your vehicle safely in contact with the road. Your tires provide traction in a wide range of weather conditions, and over an incredible variety of road surfaces. They have been engineered to handle extremes in temperature without catastrophic failure, and at high speeds. One of the worst mistakes you can make is forgetting to check the air pressure in your tires. When you allow the pressure in your tires to become low, you expose them to a number of potential problems. Tires that are low in pressure will overheat causing the rubber to break down, while low tread can lead to loss of control. Both of these conditions can lead to tragic accidents which can easily be avoided. Keep your family safe by checking the air pressure regularly, and replace worn tires before they become unsafe. When your luxury vehicle was built it came with the best possible battery under the hood. The battery literally breathes life into your car since it cannot start without electrical power. Despite the fact all batteries have an expected “lifespan”, there are many factors which can affect whether they live this long or fall short. When your battery starts to show signs of becoming weak, you should have it tested. The testing process measures the voltage in your battery to see if it still meets the needs of your car and identifies if your battery needs replacement or if there may be other issues, such as the starter or alternator. Age itself can be the cause of battery failure, however, if your starter is placing too much of a load on the battery during cranking or the alternator is not keeping the battery fully charged, your battery will not last. You should never replace the battery in your vehicle with one that is smaller than the one installed by the manufacturer because you will only be setting yourself up for more problems such as being stranded when your car won’t start. Most drivers never give their car’s brakes a second thought, believing that as long as they stop the car all is well. However, brake pads and shoes are fast wearing items that are vital to the safety of everyone in your vehicle and on the road around you. Your brakes should be inspected on a regular basis, when your tires are being rotated presents the perfect opportunity. Allowing a Maserati or Alfa Romeo factory-trained certified technician to inspect your brakes ensures that problems such as excessive wear or damage can be spotted early. Routine brake pad and shoe replacement along with drum and rotor resurfacing will help ensure your vehicle will always be safe to drive. This same inspection will find any leaks so that the appropriate repairs can be made before a serious and possibly catastrophic failure can occur. As you are probably aware, your luxury vehicle requires a number of different fluids to keep it running. These range from the oil that keeps your engine lubricated and running, to the brake fluid responsible for operating the brakes. Each of the various fluids plays a vital role in the life of your car and should always be kept fresh as well as full. They are also one of the most ignored areas in any vehicle. Of the fluids in your vehicle, none is more important than the engine oil. If you wish to keep your car running its best for many years to come, it is vital that you change your oil and filter in accordance with the manufacturer’s recommended intervals. When you bring your vehicle in for an oil change, our technicians will inspect and top off all fluids. If they find any in need of replacement, our technicians will let you know so that you can decide whether or not to take care of them. From air filters to transmission fluids and tires, every system in your car needs regular attention and service. The only way you can keep your luxury vehicle running like new is to invest in a regimen of routine preventative maintenance. Our team of expert factory trained technicians is dedicated to keeping your vehicle running perfectly for as long as you own it, call our Maserati & Alfa Romeo dealership today to arrange for your next oil change and complete inspection.